RetailMeNot advertises its browser extension, RetailMeNot Genie, in a new ad. 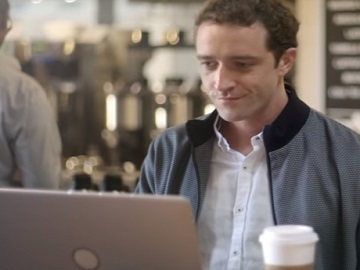 The spot features Dave, a man who loves a good deal and uses the RetailMeNot Genie browser extension, which quickly finds and applies the best promo codes for him, helping him get the biggest savings at his favorite stores without him even lifting a finger. Among the stores supported by Genie are JCPenney, Champs Sports, Sears, Target, American Eagle, Forever 21, Vitacost, Amazon.com, and more. The multinational company headquartered in Austin maintains a collection of coupon web sites and helps people save on retail, travel, food, groceries, prescriptions with coupons, promo codes, sales, cash back offers, and gift card deals for thousands of stores & brands.